Welcome to Queens Tree Service where we offer comprehensive tree trimming, pruning and removal services and are dedicated to complete customer satisfaction on each and every job. We have the knowledge and experience needed to solve any tree related problem you may encounter and pride ourselves on our excellent quality of work and speedy response time. Our personnel are the best and the brightest in the industry, and they work diligently with homeowners and property managers to create the tree service to address the specific needs of each landscape. 2 Why Choose Queens Tree Service? 4 Tree Trimming and Pruning – Do You Need Professional Services? 6 How Much Does a Professional Tree Service Cost? Our pride lies in the excellent quality of our work and the customer satisfaction. From start to finish, we provide the highest quality tree care in the industry, while maintaining a very affordable price. We have the experience and posses the knowledge to get every tree related job done, on time and on budget. Customer satisfaction and safety is our number one priority. Choose us and we let won’t let you down. Stay on our page and read more about us, if you are interested. You can also view all the services we offer. A good tree removal contractor will help to prevent disease from attacking the landscaping and trees around your home or business. Diseases of plants are different in many ways than diseases in animals or humans. Yet, treatment is important. There may need to be growth compounds added to improve the quality of the nutrients accessible to the plant. Other treatments might be to get rid of insect infestations. You can call on Queens Tree Service to take care of annual maintenance of your lawn and the trees that decorate the landscape. You want to remove leaves so that they don’t rot around the base of the plants. Wet and moldy leaves left on the lawn can promote unwanted infestation by insects. 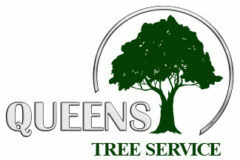 Why Choose Queens Tree Service? We specialize in both commercial and residential tree services. We guarantee complete satisfaction with all work provided. We will gladly give you references from customers in surrounding Queens neighborhoods. Our goal is to build the kind of trust that keeps clients coming back year after year. A professional company has the equipment and tools to remove trees from unwanted areas. When a storm occurs, there are often many limbs that break off and are scattered around the area. In a worst case scenario, the trees are blown over into the surrounding lawn or across a home or driveway. Worse yet is when the falling trees bring down live electrical wires. Only the experts should attempt to take care of this type of storm damage. 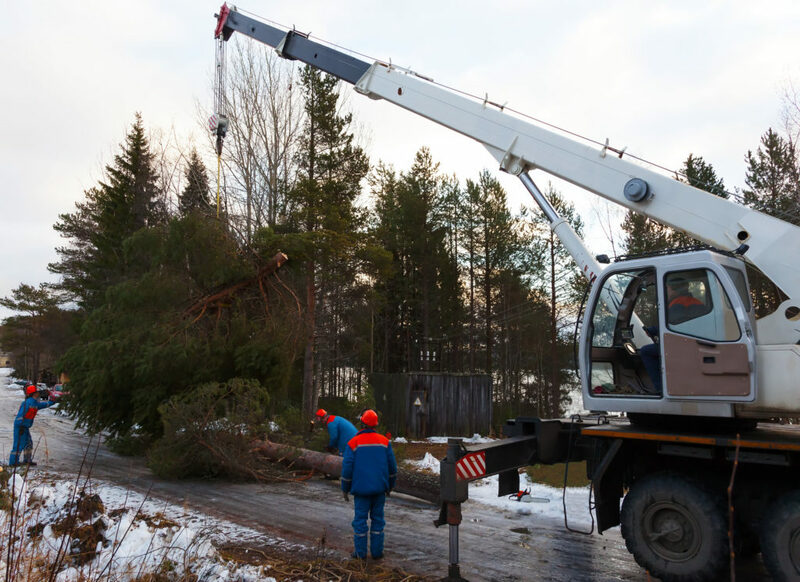 Be sure to ask for a tree removal estimate before hiring for storm damage cleanup. Queens Tree Service is experienced in dealing with all kinds of tree and landscaping situations, regardless of the condition or circumstance. Common causes of tree damage include storms and disease. Routine or seasonal tree work can include removing fallen leaves, pruning and thinning, topping, and dead limb removal. By calling a licensed, bonded and insured contractor, you get proper equipment and professional experience to handle the project. There are so many tree companies today offering every kind of tree service you need. Common services include tree removal, tree trimming and tree pruning. While some may regard them as manual labor, these tasks require a lot of physical vigor and mental acuity. While you may prefer to do certain tasks by yourself, the most appropriate methods must be used. You would possibly need to learn what the right tree care methods for your trees are based on their types, ages and the season. Tree Trimming and Pruning – Do You Need Professional Services? 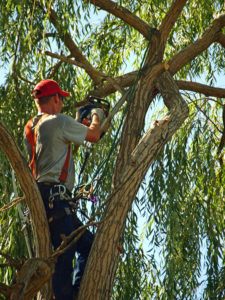 Tree trimming or pruning is normally done to remove tree branches that encroach on your property or threaten its safety. It could also be done due to the trees’ overgrowth in order to decrease the amount of space it occupies. While pruning is much less risky than feeling a tree, several technical aspects have to be given consideration. This is particularly the case when you are dealing with tall trees, keeping in mind that trees must never be pruned or trimmed from a ladder. Tree removal is almost certainly the most obvious reason why you would contact your local arborist. A tree that is infected, damaged following bad weather, growing too close to the home, or is a barrier to an impending construction, might need to be uprooted. 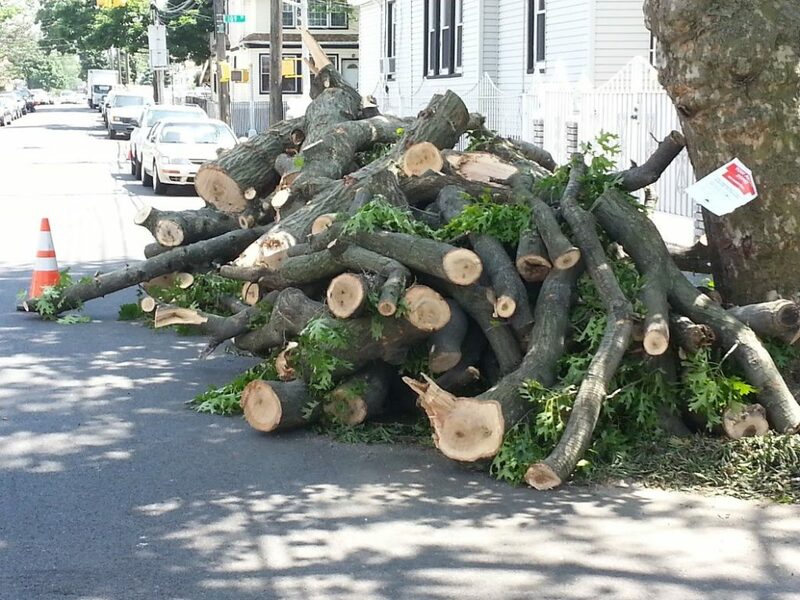 Tree removal can be risky – even tree experts have to follow strict safety regulations. Another benefit of working with professionals is that they would have the equipment needed to minimize the risk to your home and your family. How Much Does a Professional Tree Service Cost? A number of factors influence how much tree services will cost you, such as the specific work you want done and whether it is urgent. Pest control, for example, would cost much less than tree removal or stump removal services. Emergency services can also be quite costly, but you can avoid them by making sure your trees are well maintained. For example, well-maintained trees are less likely to suddenly fall over your roof, requiring urgent removal. Calling in an arborist every two to three years to inspect your trees is highly recommended. An infected tree may become a risk, but the average family may not have the skills to identify the symptoms in good time. Without the help of an arborist, you may never know whether your trees have structural or natural faults that might cause them to become risky. In addition, you would get suitable advice on appropriate tree care for a healthier, safer home.